Singapore, 16 May 2017— A counter-terror simulation was conducted today within the factory compounds of Panasonic Application Refrigeration DevicesSingapore (PAPARDSG). 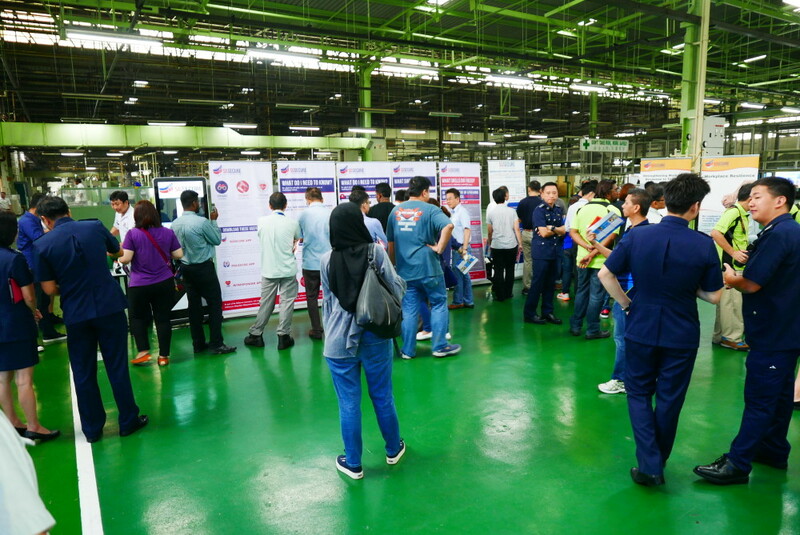 The event was attended by Mr. Sam Tan, Minister of State for Manpower, Panasonic staff and 80 representatives from 14 members companies of the Bedok Safety Group (BSG). This simulation marks the first time an anti-terror exercise was conducted in an industrial compound. 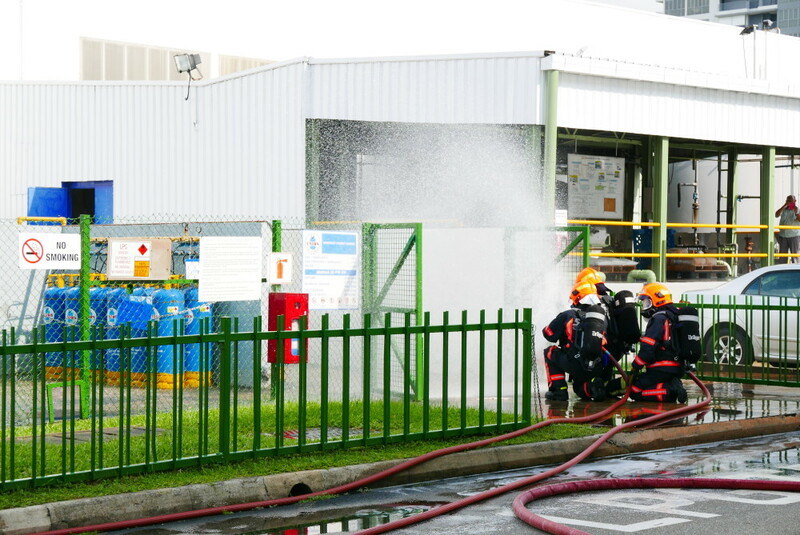 As part of the SGSecure movement, Panasonic has collaborated with the Ministry of Manpower to showcase the importance of workplace safety and how employees can also play a part in handling a crisis situation when disaster strikes. In today’s simulation, an intruder had thrown an incendiary device into the factory’s Liquid Petroleum Gas storage area, causing multiple explosions leading to massive fire. 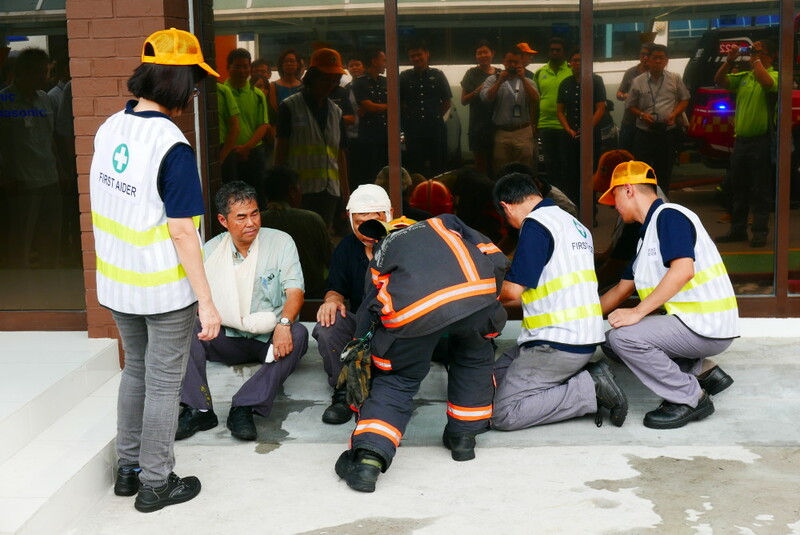 Once the alarms were sounded, the Panasonic Company Emergency Response (CERT) team sprang into action to fight the fire and render first-aid to the injured before help from the Singapore Police Force (SPF) and Singapore Civil Defence Force (SCDF) arrived. According to Mr Mohamed Shahril Bin Hj Jaffer, Manager of plant engineering, environment, health and safety at Panasonic Appliances Refrigeration Devices Singapore, CERT members need to be physically-fit and sent for specialized training to acquire skills such as Improvised First Aid Skills (IFAS), Cardiopulmonary Resuscitation (CPR) and using the Automated External Defibrillator (AED). These skills allow for CERT members to quickly render aid during the first few critical minutes of any crisis before the relevant authorities arrive. He also mentioned that it is important for employees to be educated and prepared and know what to do in crisis situation. “We have always made it a point to keep our SOP robust, and this exercise serves as a great platform to see how it all pan out in action. The whole experience of witnessing the scene unfolding before our eyes helps us think through areas which we might not have noticed before,” said Mr Mohamed Shahril Bin Hj Jaffer. 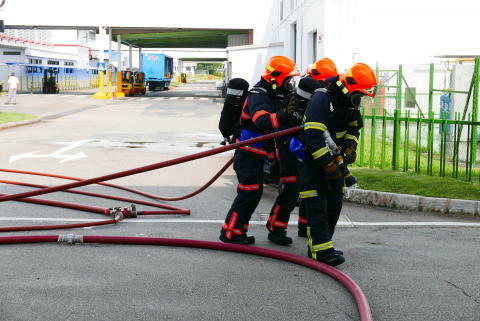 After the demonstration, participants along with the SPF and SCDF took part in a close-door discussion to better understand how to handle possible crisis scenarios.